Pilates Rehabilitation Sessions – What happens on my first visit? Specific tests will be used to highlight those areas of restricted flexibility, poor core stability, pelvic and shoulder instability and loss of normal movement patterns. Tests will look for both low and high load motor control problems, relating to stability and performance. Referral notes from other health professionals involved with your rehabilitation will also be discussed where appropriate. Your rehabilitation programme will be designed for you over the course of a number of one hour visits during which, you will practice specific exercises tailored to your specific needs. Sessions will allow you to proceed at your own pace in an airy and relaxed learning environment. I will teach you how to become more body-aware and to learn the skills required to help you maintain your health and well being through your Pilates practice. The Clinical Reformer is will be used when appropriate in your recovery. Working with the reformer allows the spine to be supported, whilst exercising against a spring resistance, helping you to co-activate the pelvic floor and deep abdominal muscles. This in turn helps to develop a strong core to help support the spine. Working against the springs builds strength in the body whilst creating length and space in the joints. It provides a repertoire of exercises to help with the rehabilitation of foot, ankle, knee and hip injuries, and encourages stability of the pelvis and lumbar spine. It can help improve Scoliosis, lateral and rotational imbalances in the body, and re-educate poor upper-body mechanics, leading to a more integrated and balanced body. You will learn a proactive approach to your condition, and discover that through intelligent, gentle exercise you can move with confidence again. Your body will be encouraged to un-learn bad habits of movement and to learn, through sensory awareness and exercises, how to move with fluidity from a strong centre. Why is it important to have a one-to-one session, rather than attend a class? You may have a specific injury, be recovering from an illness or have a condition that means you need extra care and attention. Some movements may be contra-indicated for your condition, and this can be taken into consideration when working with you as an individual. Once you have learned the necessary skills to manage your injury or condition, then you are more able to cope in a class situation, and be aware which movements may not be good for your body. You can then adapt your Pilates practice accordingly. 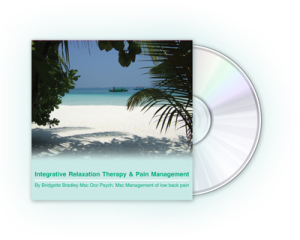 I will design your own personalised recovery programme that brings both your mind and body into balance. Over the period of your course you will be asked to practice your programme at home, between Pilates sessions. Your practice will be tailored to your lifestyle and I will attempt to provide you with exercises that fit into your daily life/work pattern. Your programme will be progressed as your movement patterns improve and you begin to get stronger. The design of your personal programme is a unique service that I provide at no extra cost. How long will each session last, and what do I wear? Your initial consultation will last approximately 1¼ hours and includes health screening, postural analysis, and Pilates first stage exercises, designed to help you with your postural problems. Subsequent sessions will each last for 1 hour. Session times are flexible and run from Monday through to Friday. Bookings are one to one, but shared sessions with a friend or partner are also available. Bookings can be made by phoning 07976 917569, and are by appointment only please. All sessions are strictly private and confidential and conducted in a light and airy studio in Allestree. Please wear loose and comfortable clothing and socks. If you wear orthotics then please bring these with you to wear in your shoes if necessary. Please bring any medication you may need during your session. For example, an inhaler if you are Asthmatic, Insulin for Diabetics, or Epi-pen if you need this in case of an allergic reaction. If you have any further questions regarding your first visit, please telephone 07976 917569.